Fundraising is a strategic element that EFAC is developing through some existing and newer initiatives. Mainly initiated by parents, several programs raise funds that contribute to the school’s improvement through buying books, supporting field trips, inviting external academic contributors, offering training sessions for teachers, and equipping classrooms with state of the art educational tools. The main objective of all these activities is centered around improvement of school life of EFAC students. All ideas are good ideas… EFAC therefore counts on each of us to actively contribute! Since November 2008, EFAC parents can order seasonal fruits and vegetables. This initiative enables not only to offer premium fresh produce at an affordable price but also to raise funds for EFAC and support local farmers. For each order, $3 are given to EFAC. Families can choose between a family bag ($ 20) for 4 persons, an organic bag ($ 31) pour 4 persons, or an individual bag ($12) for 1 or 2 persons. Orders are placed monthly and due the first Monday of each month. Payments are made by check payable to EFAC. Bags are ready for pick up each Friday up to 4:30PM. There are no orders during holidays. 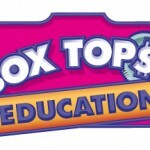 EFAC participates in General Mills’ program “Box Tops for Education”. It is an easy way to raise money for the school and is as simple as cutting the box top coupons that are on several consumer goods products sold in grocery stores. Just to name a few, you can find these coupons on Cheerios, Total, Lucky Charms, Cascadian Farms, Betty Crocker products, Nature Valley, Pillsbury, Old Paso, Yoplait yoghurts, Hefty bags, Kimberly-Clark products (Kleenex, Cottonelle, Kotex, Scott, Huggies). Twice a year, all coupons are collected and sent to General Mills. This collection is different than the collection organized by Lincoln Band for which a box is available in the main office. You can also contribute to the program for EFAC while doing your orders on line. 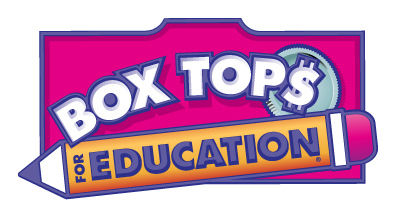 Simply enroll on www.boxtops4education.com, select French American School as referee school and a percentage of your purchases will be given to EFAC. Every 5 years, this prestigious event is organized by volunteers and provides a wonderful opportunity for families and friends to gather in support of the school. It is an evening of dinner, dancing, entertainment, and live and silent auctions sponsored by individuals and national and international businesses. 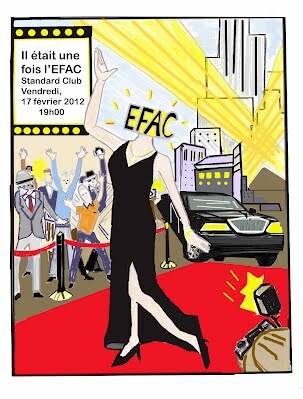 Proceeds from the Event fund important projects and programs of the EFAC. The 2012 Edition, for the 30-year anniversary of EFAC, took place in the elegant rooms of the Standard Club of Chicago and was a tremendous success. Pascale, an EFAC parent, from time to time organizes visits to discover Chicago’s architectural treasures. Did you know that Michigan Avenue is also known as “les petits Champs Elysées”? Or that the Art Institute building has been designed under Beaux-Arts style? We will not list the thousands of ways in which Chicago is linked with our French heritage. We simply want to trigger your curiosity and invite you to participate to the next organized visit. Not only will you learn many new secrets of Chicago but will also contribute to our school. Indeed, all proceeds go entirely to EFAC. Thank you Pascale! A new fund raising idea started in 2012, modeled after the program of Abraham Lincoln Elementary School, and another great illustration of the support provided by the EFAC community. The concept is simple: each EFAC mom joining the event invites a non-EFAC mom from Abraham Lincoln Elementary school. The objective is to foster new relationships between the two parent communities. Based upon the model of “margarita moms” or “sangria moms”, organisers offer to participants a one-of-a-kind cocktail, served with various French specialties (reblochon, cannelés…). This first night received positive feedback from everyone. Yes, we can do fund raising, create new connections and have fun!